PLASTICS: Only #1 and #2 and #3 Plastics. Examples: milk jugs, shampoo bottles, water bottles, water softener salt bags, etc. GLASS: Only Green, Brown and Clear. Examples: pickle jars, spaghetti sauce jars, beer bottles, olive jars, etc. Absolutely NO window glass as it has been treated and cannot be recycled. METAL: Metal, Bi-Metal Food and Aluminum cans. Please rinse and make sure they are as free of food debris as possible. PAPER: Copy Paper, school paper, newspapers, telephone books, catalogs, magazines, junk mail, corrugated cardboard and paperboard (cereal boxes) and hard backed books (do not need to remove cover). NO – incadescent light bulbs, ceramics, motor oil containers, anti-freeze containers, napkins, paper plates, paper towels, fascial tissues, toilet paper, cardboard pizza boxes w/food debris. 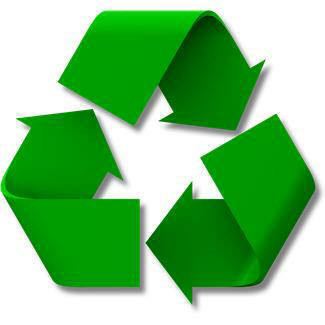 *All recyclables can be put in a bag or a box and dropped off at our public Recycling Sites. There is no need to separate your recyclables.